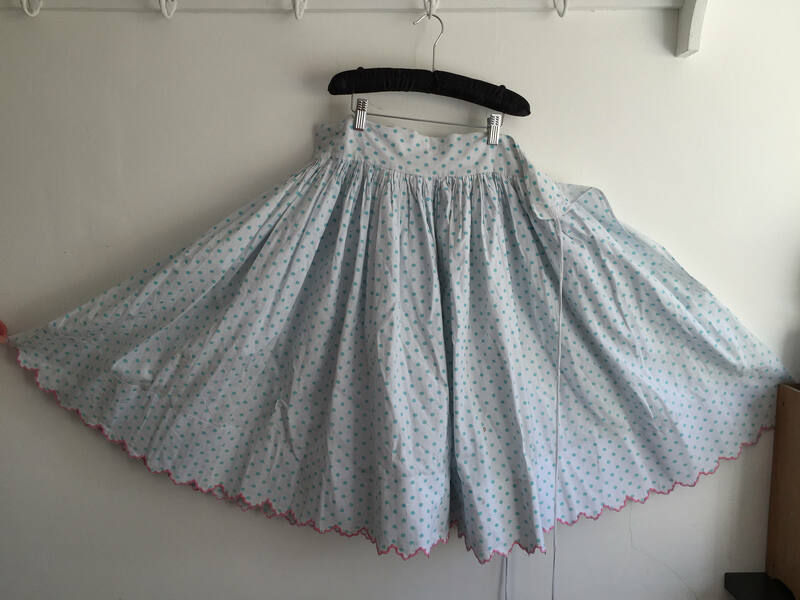 This is a vintage Hungarian circle skirt. 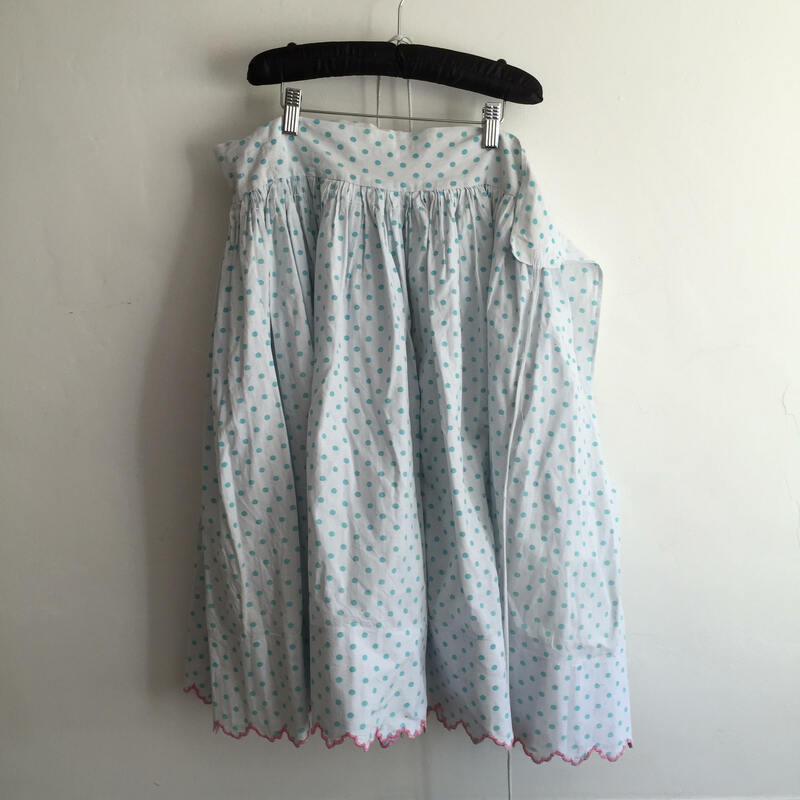 The skirt may also be worn in summer as a petticoat under a skirt, it is lovely for dancing in and keeping cool on summer days. Made from fine cotton, pre 1945. The hem has a hand sewn scalloped hem in pink cotton. 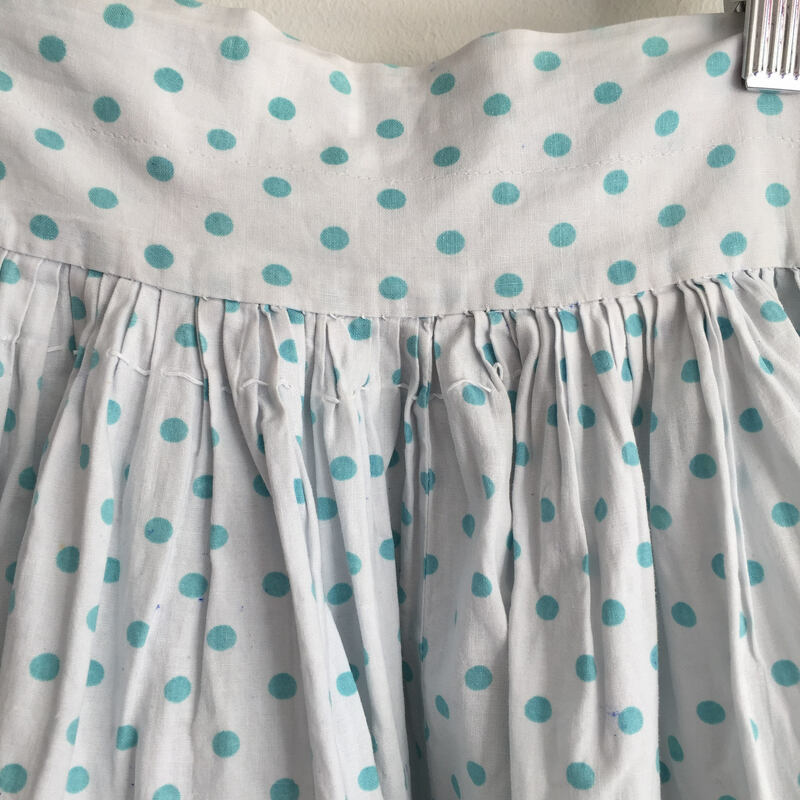 The whole skirt has been stitched by hand. 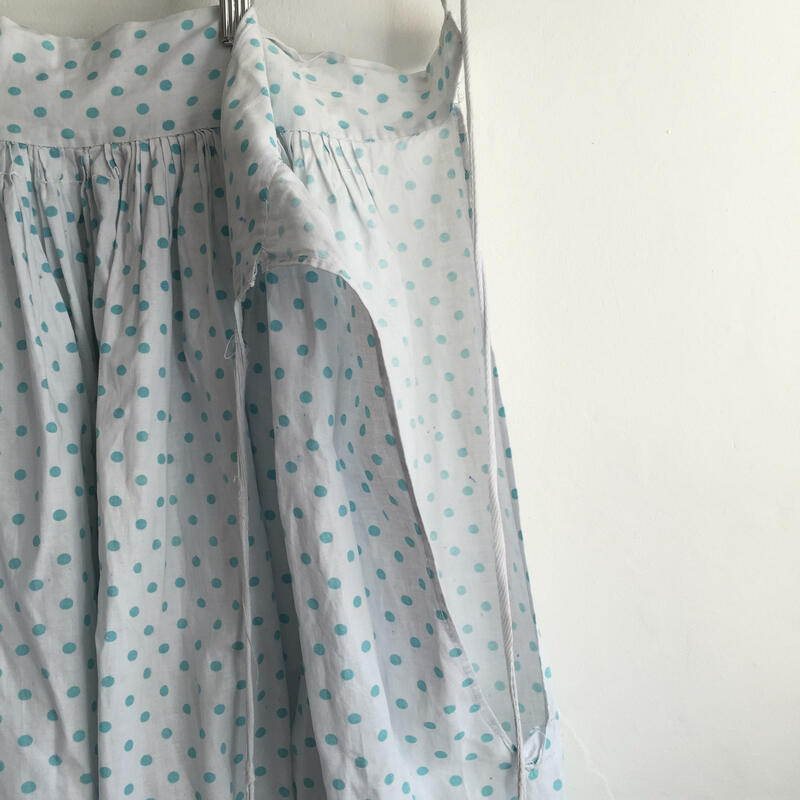 The duck-egg green polka dots were hand-blocked onto the fabric. The waist is open and adjustable with strings, so the skirt could be tied to fit changing waist measurements and last the owner longer. The circle skirt is made up of 3 panels 120 cms / 47.2 inches at the widest part. This skirt has been handstitched and is very old, in good condition, the photos act as part of the description. This skirt is a piece of history and one off.